These rotating makeup brush heads are engineered to give you more coverage and control with less effort, powder, and time. The anti-microbial bristles aren’t made from animal hair and will feel soft on your face. Get a streak-free and professional finish without leaving home. 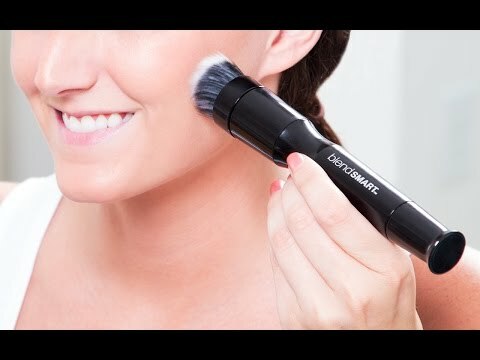 Let this rotating makeup brush do you up. blendSMART works with liquid or powder foundation, giving you a streak-free finish with less time and effort. The rotation speed was engineered to maximize coverage with minimal motion or blending skill on your part. And the soft, anti-microbial bristles will feel gentle on your skin. For liquid foundation, first dot it on then glide the brush up and down and side-to-side. 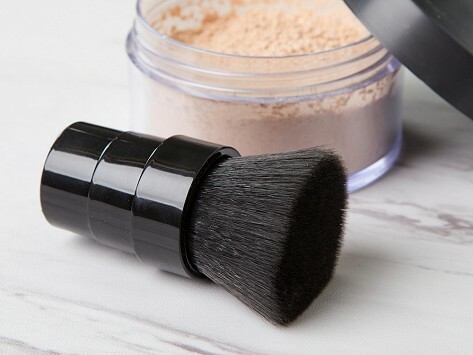 If you’re using powder, dip the brush into it before applying. The result is a thin, even look. You’ll only need a modest amount of product, too. In fact, less is more. Now the power of a professional-caliber look rests in your hands.